The Independent Community Bank Services, Inc. (ICBS, Inc.) was formed in August 1989 by a handful of independent community bankers who had a vision: to create an organization that would help any bank—no matter how small—provide the best financial services for their community. 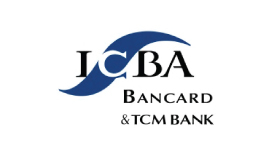 ICBS provides our member banks with a comprehensive menu of cutting-edge products that make running a card program easy and efficient. 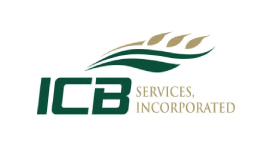 ICBS, Inc. is a bank service corporation serving the Independent Community Banks of North Dakota (ICBND), and is governed by its own Board of Directors. It can be hard for independent banks to compete effectively in the credit card market. That’s why ICBS offers bank-branded credit cards to our customers. With help from the ICBS staff, even the smallest of banks can offer a credit card program. All participating member banks share in the costs—and because of their combined number of cards, they receive of a higher tier of interchange than if they operated alone. Offering credit cards enables your bank to best serve your customers’ needs and to enhance the value of your current product offerings. The ICBS Credit Card Program gives your bank the opportunity to offer Visa credit cards at an affordable price—with customizable options. As the Issuer, your bank owns the receivables, which enables you to decide what type of pricing you’d like to offer your customers, and pick the options which best suit your bank’s needs. If your bank does not currently offer credit cards, we can help you start a Visa card program with minimum entry costs. If your bank already offers credit cards, we can also facilitate a conversion from another processor, through a different program. Choose from our selection of reasonably priced cards, or customize your own branded card for an additional charge. Annual training meetings held in Bismarck and Grand Forks, ND, and Sioux Falls, SD. We also offer one-on-one training for new staff either at our office or over the phone. Our friendly staff is available to help you with your credit card questions and needs. We have many years of experience working in the credit card industry, and can provide valuable information to make your program successful. Online account access for customers through mycardstatement.com. Customers can view activity, read statements, make payments, and sign up for paperless statements. To learn more about offering your own credit card program and to get a quote, email us or call us at 1-800-862-0672.